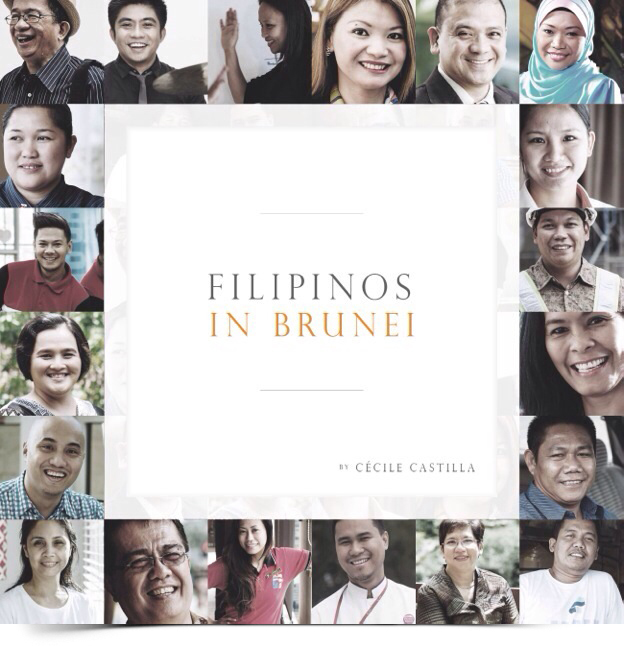 “Filipinos in Brunei” written by Cécile Castilla, this book is a collection of stories and experiences from twenty individuals who have share their live journey which brought them to Brunei Darussalam. From maid, engineer, waitress to manager, designer and doctor, this book shares stories of real people and their aspirations, their doubts, difficulties and their achievements. Through conversations, the writer has capture stories of unique adventures and challenges, and also common journey shared by many, it is a fascinating stories through the world of Overseas Filipinos Workers. 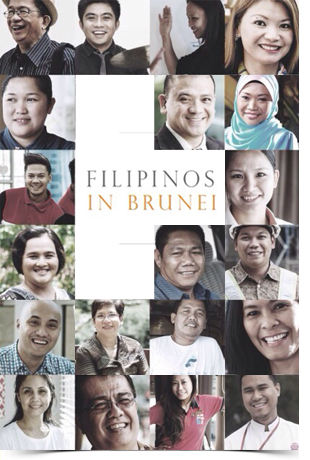 The Official Launching of the Book is held at the Philippines Embassy in Brunei Darussalam with both Ambassadors of Philippines and France as the Guest of Honour, on Saturday 6th of December 2014. With a devoted grandmother who forced her to learn the Ave Maria in Latin, a mother dedicated to her family, three supportive siblings and a multi-tasking father involved in politics, Anyati had a good start in life. The family had a comfortable living until 1972 when war suddenly changed the whole picture. Martial law was imposed and they all had to leave, fearing for their lives. “We were in the middle of the battle ground, “reminds Anyati. “And the only way to survive was to escape!” Today, she can still hear the sound of the gunfire and remember the horrifying feeling of fear. Cécile Castilla is a French journalist that spent most of her career in Paris working for mainstream magazines. In 2006, she settled in Indonesia and in 2010 in Libya. She moved in Brunei in September 2011. Based in Bandar Seri Begawan, she ran DuaMinggu, a fortnight cultural newsletter for eighteen editions before dedicating herself to publishing books. She is married with two children. Anyati Bte Abdullah Orcullo is an active member of the Filipino community and the General Manager/Event Planner of Ads Allure Advertising Sdn Bhd. An entrepreneur and a fashion designer, recently she authored and published BRUNEI MALAY WEDDING, the first one of a kind ever written in Brunei Darussalam. Information provided via Author’s Press Release.